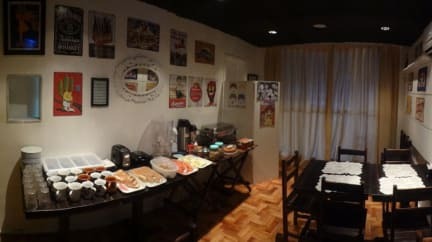 We are a nice and cozy place, if you want feel at home come to Albergaria Hostel. We have everything you need. 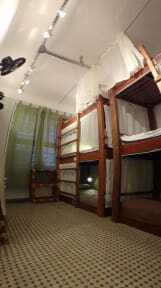 Our bedrooms have A/C, lockers, the sheets are included and our pillows are the best. In the common area we have a professional pool table, a 52' TV with cable, a very nice kitchen, swimming pool and definitely the coldest beer in town.